We are delighted to announce the promotion of Nick McPhilemy to Director of Cogent Associates. Nick joined Cogent from AECOM, where he served as Senior Associate Director, leading the Cost Management team for the redevelopment of Capital Dock for Kennedy Wilson. 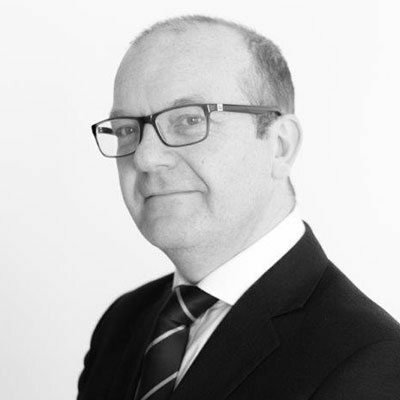 With over 30 years experience, Nick has worked across a variety of sectors in the UK, Europe and United States. “I was delighted to join the Cogent team given its diverse portfolio of work and ambitious plans for future growth. The business has an excellent reputation spanning 20 years and has delivered award winning developments for Clients such as Google and Central Bank. I worked with Kevin and Anthony before leaving Dublin to lead the Cost Management team to deliver the £165.0m mixed use development, retail/residential development of Victoria Square, Belfast, for Multi Development UK Ltd. This new role gives me a great opportunity to build on my commitment to support Clients and Designers to develop creative work spaces across diverse markets, whilst maintaining focus on the balance between capital cost and profitability,” said Nick. “We are extremely fortunate to have Nick join Cogent. As we continue to expand our capabilities in Ireland, we believe Nick’s skills complement our current leadership team, which will enable us to broaden our platform and support our continued growth in the market. We were very impressed with Nick’s broad experience on both sides of the Atlantic, as we feel this is extremely important in serving our clients globally,” noted Kevin James, Managing Director.